Pumpkins are in the store and canned pumpkin is on the shelves and on sale. And of course I had to grab up a few cans of this wonderful tasty, healthy ingredient! 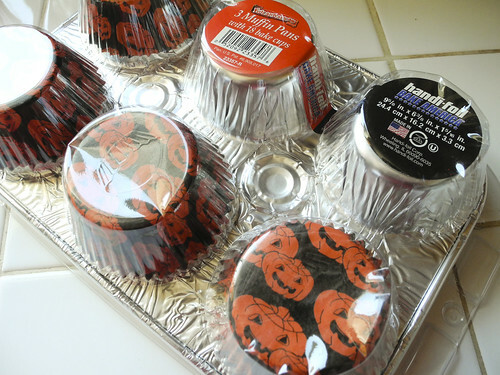 I also grabbed my muffin tins that I used for my Mini Monster Eye Meatballs that I received from Handi Foil! 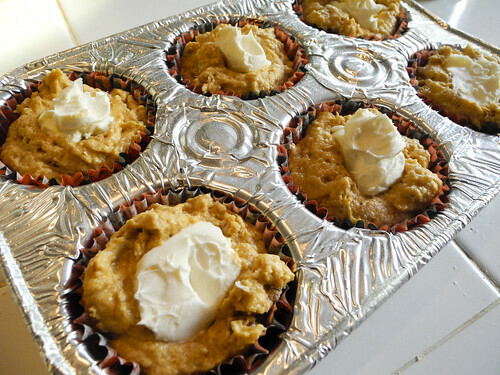 I used the little paper cups that came with the muffin tin and I was able to cook all the muffins at one time. 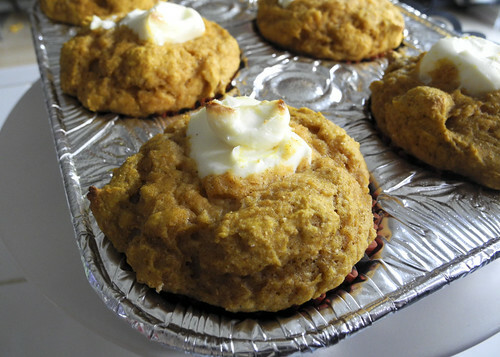 This muffin is not a super sweet muffin. 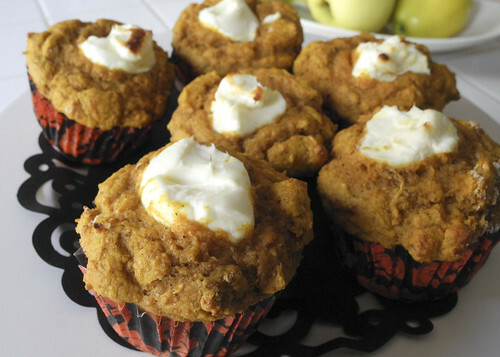 I wanted something that was warm and pumpkiny, but not with the tons of sugar you get in most muffins. I didn’t even add sugar to the cream cheese! I wanted that tangy contrast with the muffin. 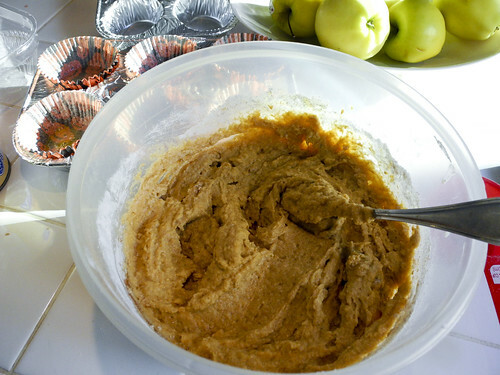 If you would prefer a sweeter treat double the sugar and add sugar to the cream cheese to make it more like a frosting. These lovely little treats have less than 80 calories each and will warm you on these chilly fall days that are coming our way. I hope you enjoy!! This post was sponsored by Handi Foil, all opinions are my own. What a delicious muffin! Yum. yum! 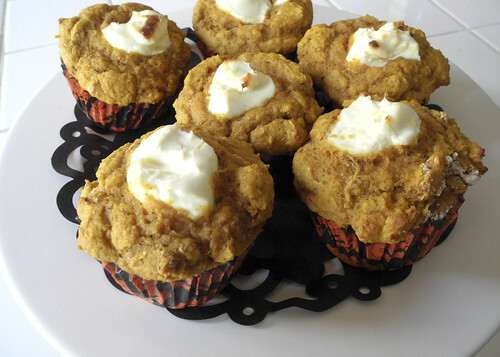 those look amazing ~ and without all the sugar! YAY!